1-CD with 32-page booklet, 32 tracks. Playing time approx. 79 mns. The lady who wore the trousers! Charline Arthur leaped from amplifiers, sang lying down on-stage, and cavorted wildly. Her act was radically different from Kitty Wells and the other female country singers of the day. "I was shakin' that thing on-stage long before Elvis ever thought about it," she once bragged. "I was a blues singer. I wanted to sing something original." And she did. 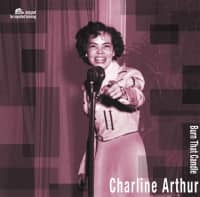 The best of Charline Arthur's recording career from 1949 to 1957 is captured here. During that time, she recorded for Bullet, Imperial, Coin, and RCA Victor. There were no hits, but an awful lot of good music. When rock 'n' roll came along, it wasn't news to Charline--she had been shakin' it up for years. 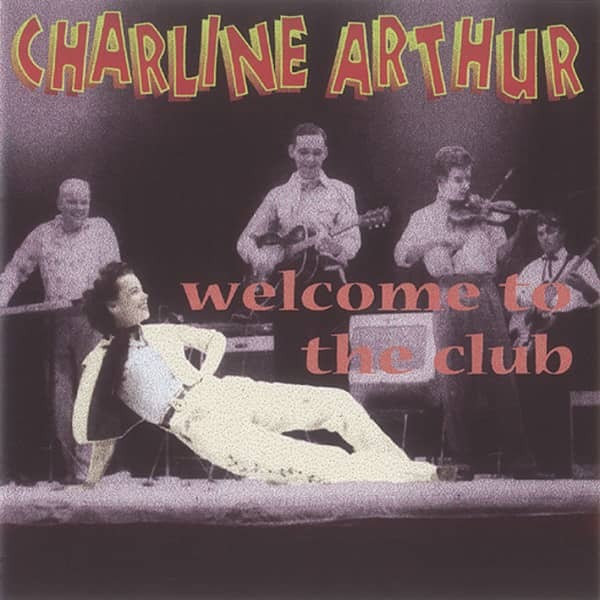 She found great original country songs like He Fiddled While I Burned, Flash Your Diamonds, and Looking At The Moon And Wishing On A Star; she covered R&B classics like Burn That Candle, and she flat out rocked, as on 'Welcome To The Club'. Our original Charline Arthur LP from 1986 was an eye-opener, and we've had many requests to expand it for CD. Now the original 16 tracks have been doubled, giving the best possible overview of this groundbreaking artist's work. Her voice was brassy, sassy, and loaded with personality. It was a barroom howl that beats even Rose Maddox for out-and-out exuberance. 04 How Many Would There Be? Born Charline Highsmith in Henrietta, Texas in September 1929, she was the second of 12 children, and when she was four, she moved with her family to Paris, Texas. By 1945, she was already singing locally on KPLT, Paris. Then a traveling medicine show came through town, and she left. In 1949, she was singing in small clubs and honky tonks, and an appearance in Dallas landed her an opportunity to record two songs for Bullet Records. By the time her RCA contract expired in 1956, Charline was at odds with her label and Hill & Range, and with the music business in general. In 1965, she relocated to the west coast, and then, in 1978, retired to rural Idaho to live in a trailer on a modest $335 monthly disability pension. “I’m kind of like the old fire truck that Minnie Pearl sometimes talks about. I’m always ready, but seldom called for,” she said forlornly. Charline Arthur died in her sleep on November 27, 1987. Customer evaluation for "Welcome To The Club"